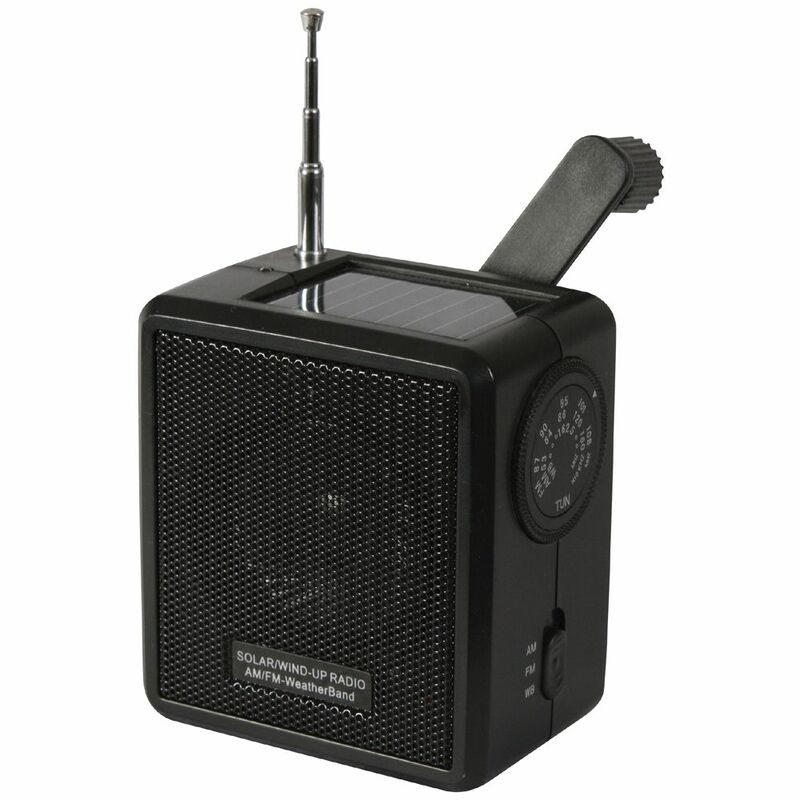 The Solar Wind-Up Radio is a powerful radio with a compact and easy-to-carry design. The signal quality is excellent in the frequency ranges of 87-108 MHz (FM) and 530-1600 Khz (AM). It can be powered by solar energy, or through maunual wind up. Five hours of sunlight will provide up to 30 minutes of playing time. Alternatively, if it is charged by wind up, it plays for around 20 minutes. Once fully charged, it can continue playing for up to 7 hours. This plastic radio is ideal for emergency situations or an outdoor expedition. An earphone jack is included.